Support the Latest for Nintendo 3DS perfectly. 7. Support RTS - real Time Save. 8. Realtime skin/themes change function(support random skin/themes selection mode). 9. Able to memorize and restore to the previously selected game or application after restarting machine and soft reset. 10. Able to recognize and display SD card type, volume and type of formatting. 11. Sleep mode function,for power saving and longer standby time. 12. User friendly interface,easy to operate. 13. Uses for MicroSD card FAT 16 or 32. 14. Support any for MicroSD card speed with no lag in game. 17. Works on any PC OS. 19. Open I/O interface. Supports Moonshell and other homeberw (incl. 4KB homebrew). 20. Integrated Latest MoonShell 2.0 Beta version. 21. Support WIFI-games. DS Rumble Pak. DS Browser. 24. Users just one click away from playable games download. 25. 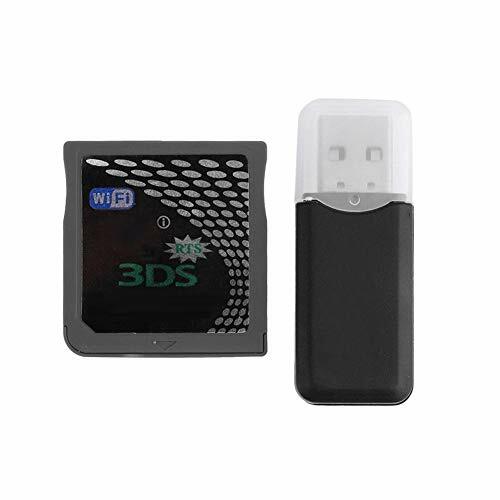 WiFi search engine function available with NDS/NDSi/NDSiLL. Users are able to search and download the games and the latest game information according to their own preferences anytime, anywhere.